Thanks to @c_hocking, @edublogs and #anz23mthings for putting me on to a great list of blog tips from Problogger. My blog surpassed 1000 views today (even without doing many of the things listed...)! But time to step it up. One thing I'm going to try to do more of from the list is tell more stories. According to Problogger they are a good way to connect with your audience and create lasting memories. Stories were the theme of this year's library and information week too, so let me tell a story about libraries and me. In 2000 a friend and I volunteered at a summer camp in Atlanta, Georgia and when it finished, still in need of adventure, we travelled up the east coast of America, through the Appalachian mountains, along the beautiful Blue Ridge parkway, all the way up to Washington DC on mountain bikes with $1000 between us to last 3 months. We camped in the forest, we drank stream water, we met bears and bobcats, and when we reached settlements, we went to the libraries. We didn't go there for books. We went there to access the computers, to let friends and family know via email that we hadn't been eaten by bears (we had no mobiles), to catch up on world news, to relax in a safe and warm environment and to find our what the local attractions were by chatting with the librarians and looking at the local collection. We must have visited about 20 libraries and it was always like coming home. 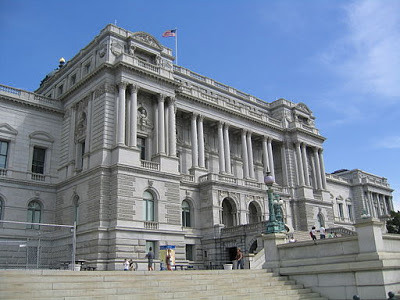 In Washington DC we cycled up to the Library of Congress and took photos in front of it, we visited museums and art galleries and had a blast without blowing our budget (which was spent almost entirely on food!). I only wish I had some of the photos in digital form to show! 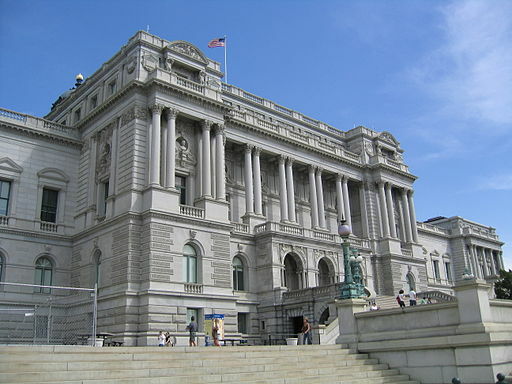 I can't imagine a world without these community cultural institutions... libraries, museums and art galleries. That was a once in a lifetime trip - because I don't think that I can travel on so little money ever again! Have you visited memorable libraries on your travels?